There is a key can be used to toggle this feature. This key can be found under Miscellaneous category. Hey clean view, why rain drops and after getting into water not included to be cleaned?? ?, its bigger than any swirling things needs to be "NOT ON MY FACE". This mod's sole purpose is removing those swirling things. If you don't want rain particles, just install Optifine and use it to remove them. If you can't have Optifine as it conflicts with other mods, you should go and find an alternative mod that removes those. just a friendly suggestion, maybe you also include it on your mod since the name Clean view names it actualy, and raindrops on my face is not clean view, welll anyway tnx for the advise. That's a very useful mod, that a have searched for. Can I use this mod in a modpack, please? Yes, you can, go ahead do whatever you want with it. You can use any mod on CurseForge in any modpack on CurseForge. There’s no need to ask, as mod creators literally cannot deny you permission as long as their mods are on Curse. Would it be very difficult to add a delay after which particles are hidden? When I throw a potion on something, I want to see particles to know it hit, but then want them hidden. My mod only hides those on yourself. 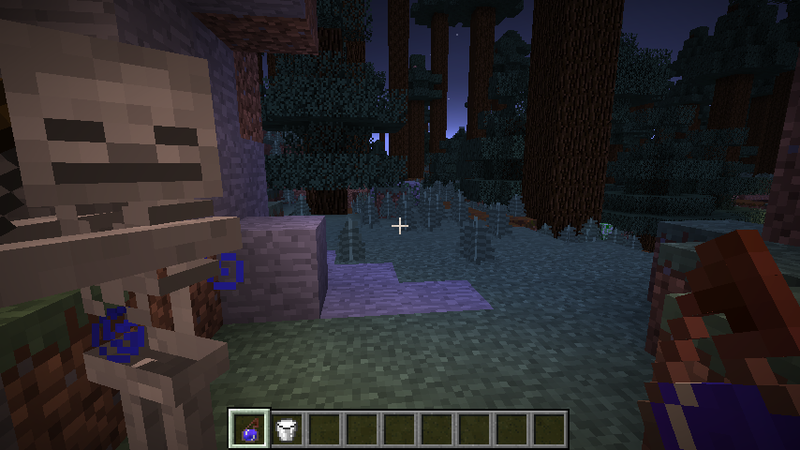 You should have no problem see them on other players/mobs unless other mods decide to hide them. Oh, awesome! The phrasing in the description made me think it hid particles on other entities as well. Thanks for clarifying! The file for 1.10.2 can be used in 1.12 (also 1.12.1, i just tested). Another mod I consider Essential! So, I made a showcase for it! I was just looking for something like this for 1.10.2 like 2 hours ago... you are magic. Any plan for a update for minecraft 1.10.2? If you want, I think I can update it very quickly. A new version (1.10.2-v1) has been released, it will support all versions beyond 1.10 as long as there is no major changes in related code. There might be some delay since Curse needs to check the file first for it to show up, you can also grab it in Github releases page.